Para-aramid yarns and sewing threads like Kevlar®, Twaron, Technora, and Heracron are widely used in aerospace, industrial and military applications where high strength, high flame and melt resistance, and low creep and elongation are desired. With obvious uses in military applications, the U.S. Department of Defense developed a set of standards in 1978, MIL-T-87128, to describe the physical and operational characteristics for para-aramid, intermediate modulus thread used for machine and hand sewing. In 1995 the General Services Administration replaced MIL-T-87128 with a simplified mil-spec, titled A-A-55220. The revised specification covers twisted monocord or multiple cord in both soft or resin (bonded) finshed threads. "Knots - Size FF and finer thread shall average not more than on thread knot per two ounces, and size 3 and heavier thread shall average not more than one thread knot per four ounces." For reference, size FF refers to threads with yarn denier size of 1200 denier (400/3), and size 3 refers to yarn size 2000 denier (400/5). Our recommendation is no knots for all sizes to decrease the likelyhood of processing breaks and scrap. Like all military sewing thread specifications, A-A-55220 serves as a standard benchmark or starting point for most industrial manufacturers in developing product specifications for their products. Kevlar® or para-aramid threads are commonly engineered today to exceed the mil-spec standard. 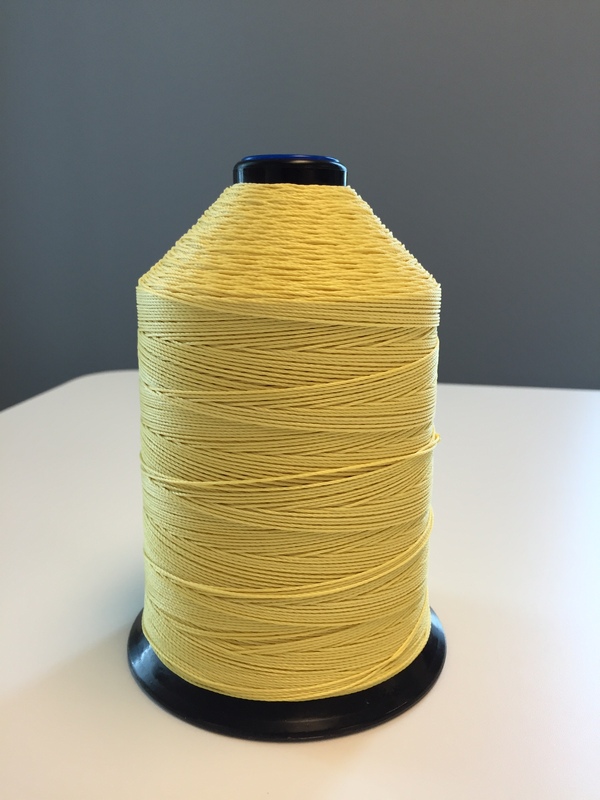 Need help with your Industrial Kevlar® or para-aramid yarn? We'd be happy to assist!